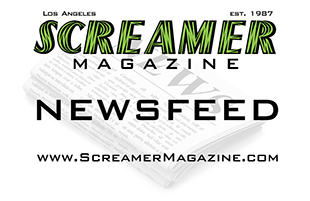 L.A.-based symphonic metal band Le Reverie performs in concert for a special Hollywood Maximum Exposure Industry Showcase, at longtime veritable Hollywood nightclub King King, 6555 Hollywood Blvd., Sunday, February 23. 7 p.m. Info: (323) 960-5765. Tickets available at: https://www.purplepass.com/?SID=lereverie#5520/Revolutionary_Entertainment-Hollywood_Maximum_Exposure_Showcase-King_King-February-23-2014.html. Le Reverie’s unique musical mix of progressive rock, metal, classical symphony and goth, fronted by the enchanting vocals of Allie Jorgen, catapulted the Los Angeles-based rock band’s 2013 album release “Dark Symphony” to win “Best Group CD” from the L.A. Music Critics/Examiner. The band recently performed at a NAMM All-Star show featuring Uli Jon Roth, James Kottak (Scorpions), Don Dokken, Vinny Appice and others at the House Of Metal. 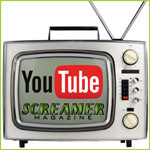 Special THANKS to Screamer Magazine! !! You’re welcome Allie, congrats and keep up the good work! Allie Jorgen liked this on Facebook.